Barbara Nehr and her husband Adam had recently retired. Their shared passion for designing and flying experimental airplanes had taken them on many adventures in the past 20 years – adventures they planned to continue. But then the Orlando couple’s plans took a detour. A routine test showed Barbara’s body was not flushing out toxins as normal, and she was experiencing yellowing of the skin and itching. “I knew that jaundice without pain was a bad symptom,” Adam recalls. A local internist suspected pancreatic cancer. Additional tests confirmed a mass growing in the head of the pancreas. Cancer of the pancreas affects 45,000 people every year in the U.S., and it is the fourth leading cause of cancer-related deaths. The five-year overall survival rate if a tumor is detected early and surgically removed is 22 percent, versus 6 percent without early detection and surgery. “I did some research and Mayo Clinic came up with the best surgical team and the most experience with Whipple procedures,” a well-known treatment for tumors in the head of the pancreas, Adam says. Barbara and Adam at a recent PanCan walk in Jacksonville, Fla.
“There are three main types of treatment available for pancreatic cancer: surgery, chemotherapy and radiation therapy. Surgery has the highest chance for success; in fact, today it’s the only chance for cure in patients with pancreatic cancer,” Dr. Asbun explains. 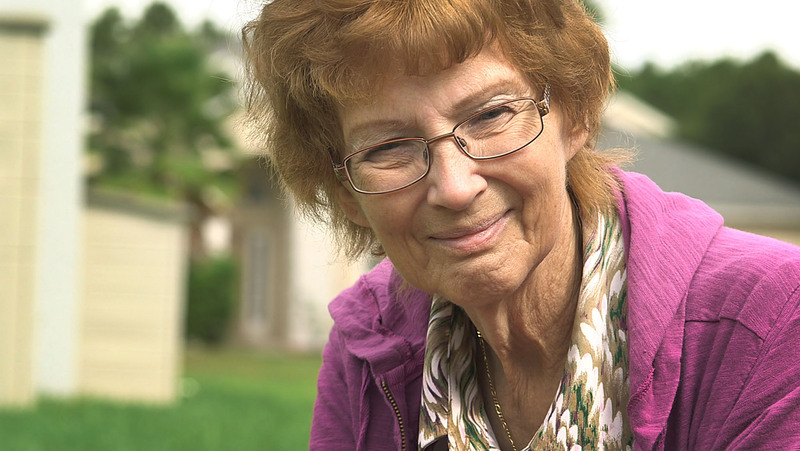 The laparoscopic Whipple surgery was successful and Barbara was able to return to Orlando within days,where she started follow-up chemotherapy and radiation therapy in coordination with the doctors at Mayo Clinic. 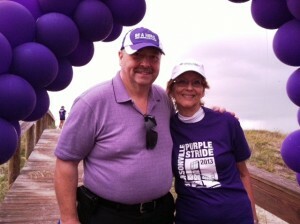 Three years after her surgery, Barbara, now 68, leads an active life and takes pride in supporting pancreatic cancer awareness. Even her garden boasts to her survivorship – with purple decorations and flowers. She’s an active volunteer with the Pancreatic Cancer Action Network, and has traveled the country to support other survivors and raise awareness about pancreatic cancer and research, attending Purple Stride events and rallies in Orlando, Tampa and Jacksonville, Fla., as well as Washington, D.C.
MEDIA: For this story, you can download several video clips and photos in full resolution, from this post, via the Mayo Clinic News Network.